The Orlando Magic are 5-2, but how seriously should we take them? And what does answering that question tell us about early season results in general? Preseason projections had them, at best, competing for the last few seeds in the East — yet here the Bulls were, a few weeks into the 2016-17 season, with the 7th best point differential in the NBA. Perhaps even more surprising than their bottom line results, though, was how they had achieved them: Chicago had the second best offense in the NBA despite uniting a trio of ball-domineering, shaky-shooting, big names. Not only were Jimmy Butler, Dwyane Wade, and Rajon Rondo not supposed to fit together; like jigsaw pieces pulled from three separate puzzles, they weren’t even supposed to have a chance. But, 7 games in, the Bulls were causing the NBA cognoscenti to question themselves. Was there something they missed? As it turned out: not at all. The Bulls, in the immortal words of Dennis Green, were who we thought they were. They played .500 ball the rest of the season on the back of a top 5 defense, while their offense finished 20th and sported the league’s worst effective field goal percentage. Sometimes, though, the surprising, early season upstart doesn’t fade. The 2014-15 Warriors went 5-2 with the league’s 5th best point differential in their first 7 games. That 7 game stretch, it turned out, was one of their worst of the season. They went on to win 67 games and a championship. 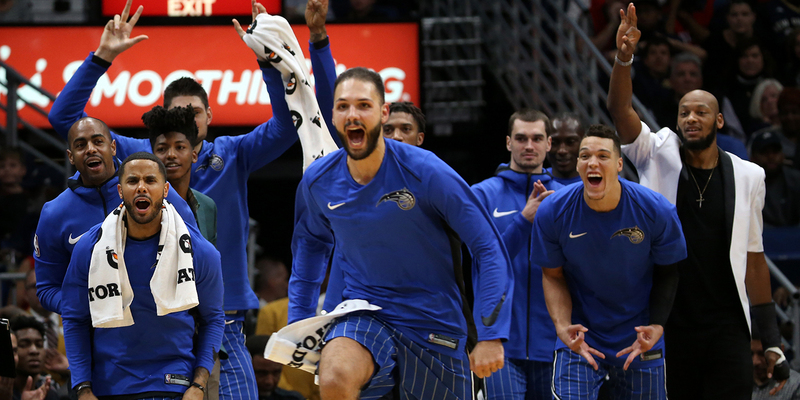 Two weeks into the 2017-18 season, we have another outlier to add to this group: the Orlando Magic, who sit at 5-2, with the league’s 2nd best point differential. The Magic were pegged by most prognosticators to end the season with a win total in the 30s. Maybe, if they saw enormous growth from their young players, they could sneak into the playoffs. But be a top 5 or even top 10 team in the league? No way. So what do we make of this start? Is Orlando just this year’s Bulls? Or is the Magic real?